Salman Khan, along with rumoured girlfriend Iulia Vantur, attended his sister Arpita's Khan and her husband Ayush Sharma's wedding anniversary party at their residence on Friday night. 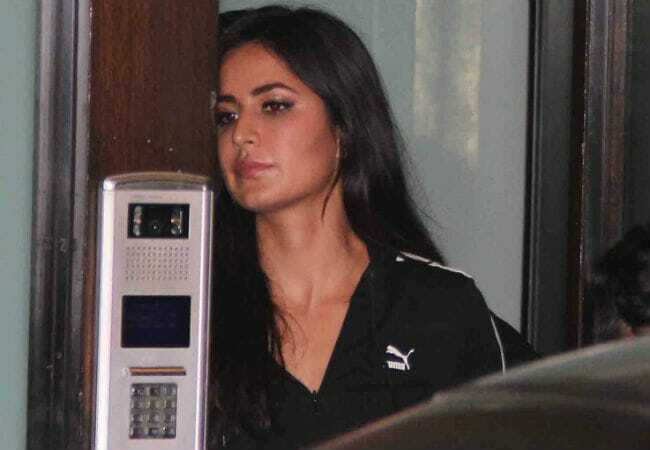 His rumoured ex-girlfriend Katrina Kaif was also there. Salman and Katrina returned from Kochi last night after performing at the opening ceremony of Indian Super League (ISL). They together co-star in Tiger Zinda Hai, which is currently in the post-production stage. Arpita and Ayush have been married since three years and share their anniversary date with parents Salim Khan and Sushila Charak. Apart from the Khans, the party was also attended by Malaika Arora, Amrita Arora, Soha Ali Khan and Kunal Kemmu, Dia Mirza and Sahil Sangha. Inside Arpita and Ayush's party. ​Malaika was dressed in short silver coloured dress and she looked stunning. Arpita also posted a few pictures from last night, featuring Katrina, Arbaaz Khan and Amrita. Iulia Vantur, 37, a Romanian TV presenter, is soon going to debut in Bollywood as a singer. She recorded her first song, titled Every Night And Day, with music composer Himesh Reshammiya, some months ago. Salman and Katrina's Tiger Zinda Hai is a sequel to their 2012 blockbuster Ek Tha Tiger. Both the stare reprise the roles they played. Salman features as Tiger as RAW official and Katrina plays Zoya, a Pakistani secret agent. Here are some pictures of Salman and Katrina at the ISL. Tiger Zinda Hai, directed by Ali Abbas Zafar, releases on December 22. The duo have earlier co-starred in Maine Pyaar Kyun Kiya?.